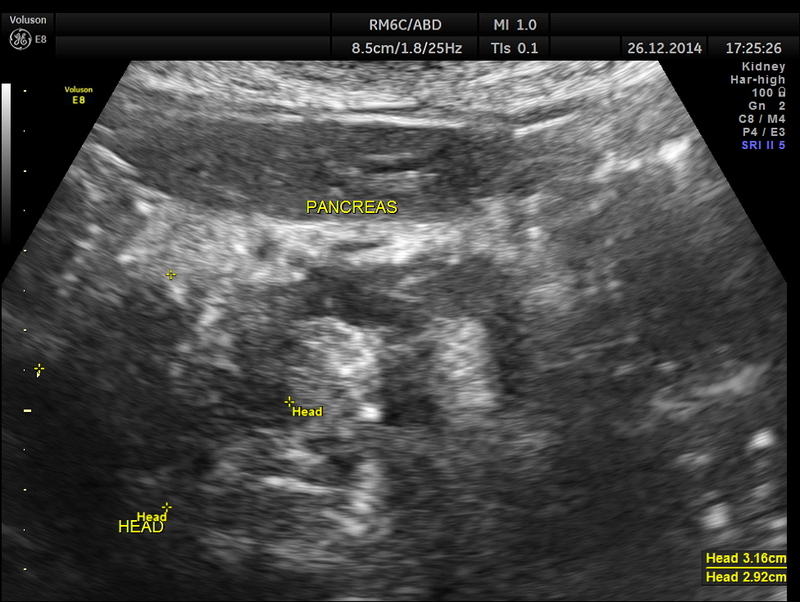 This was a 82 year old lady being evaluated for abdominal pain . 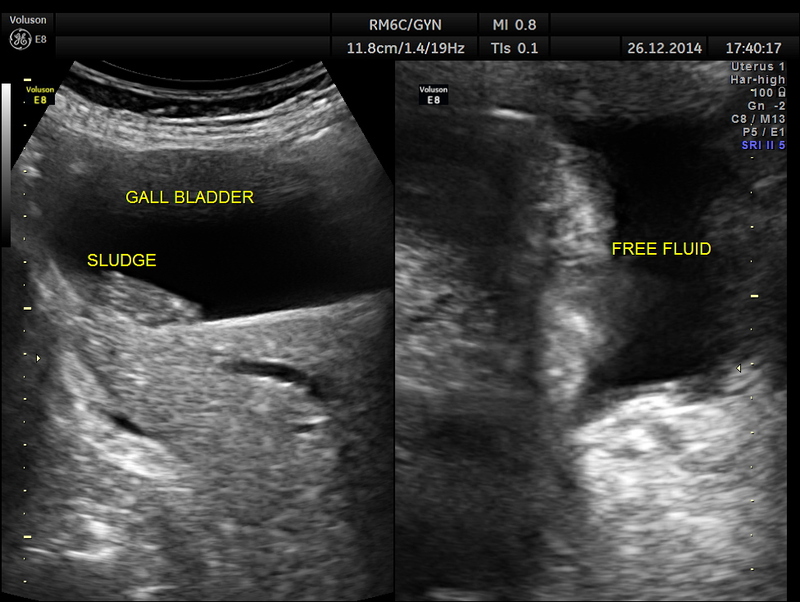 Her serum bilirubin was very high and she was referred for an ultrasound . 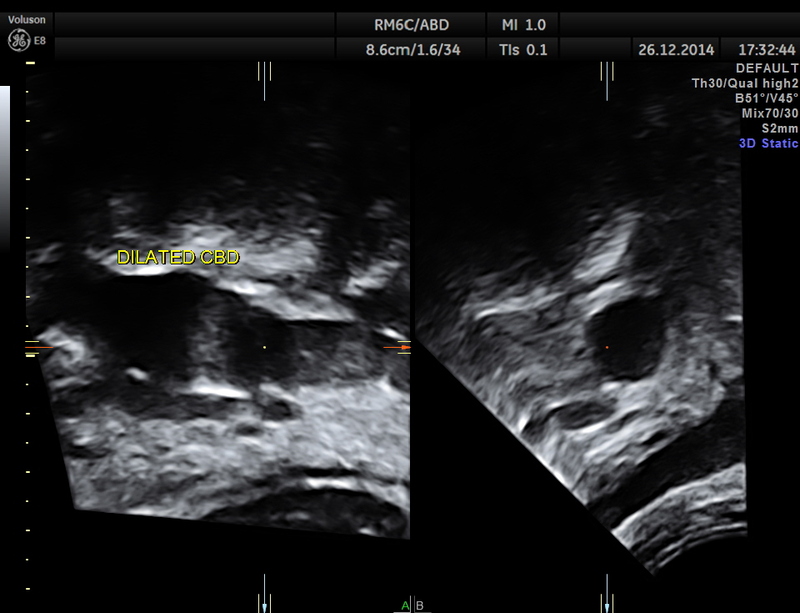 grossly dilated common bile duct. 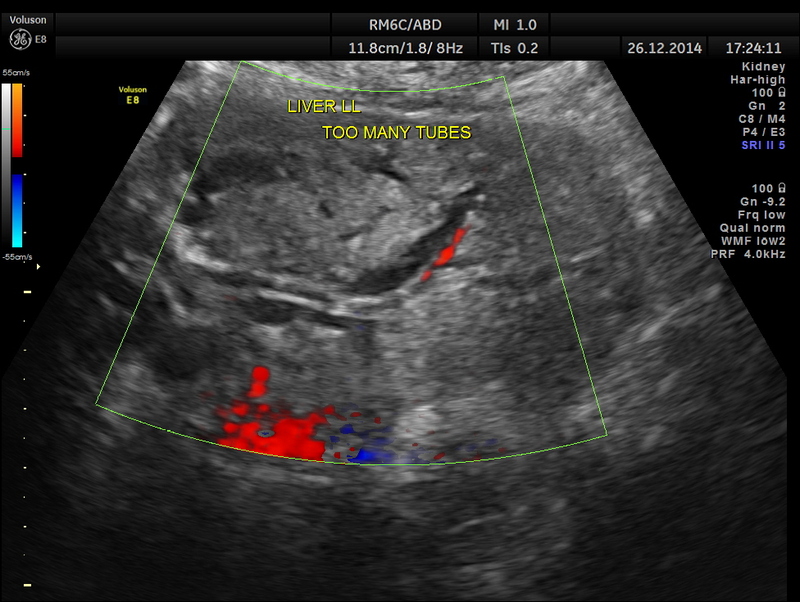 too many tubes seen in the left lobe of the liver. 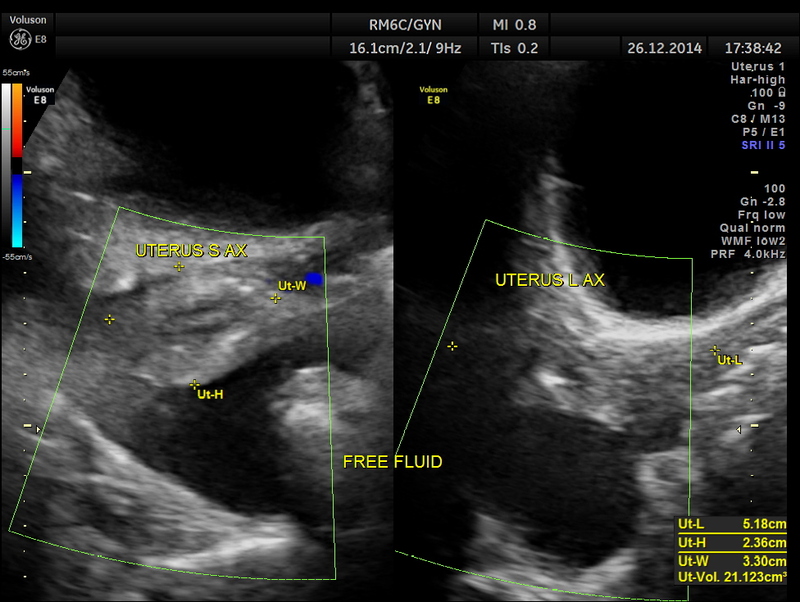 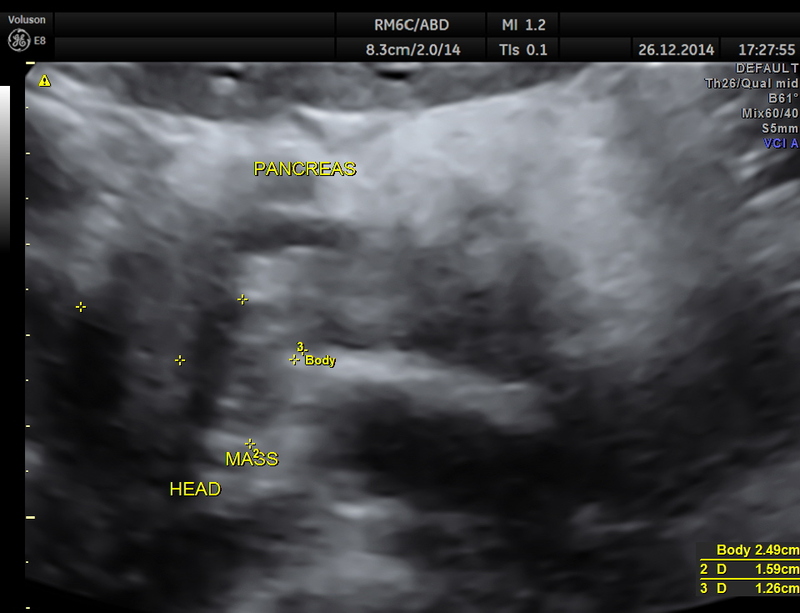 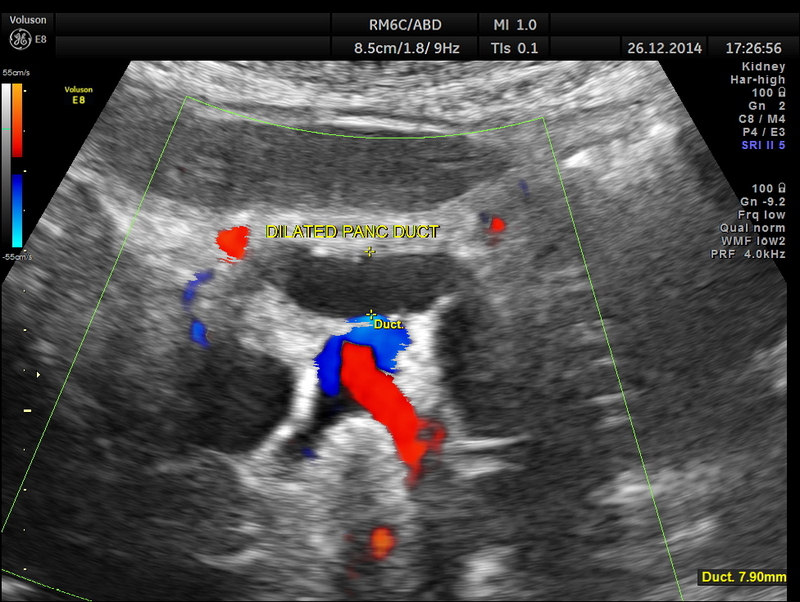 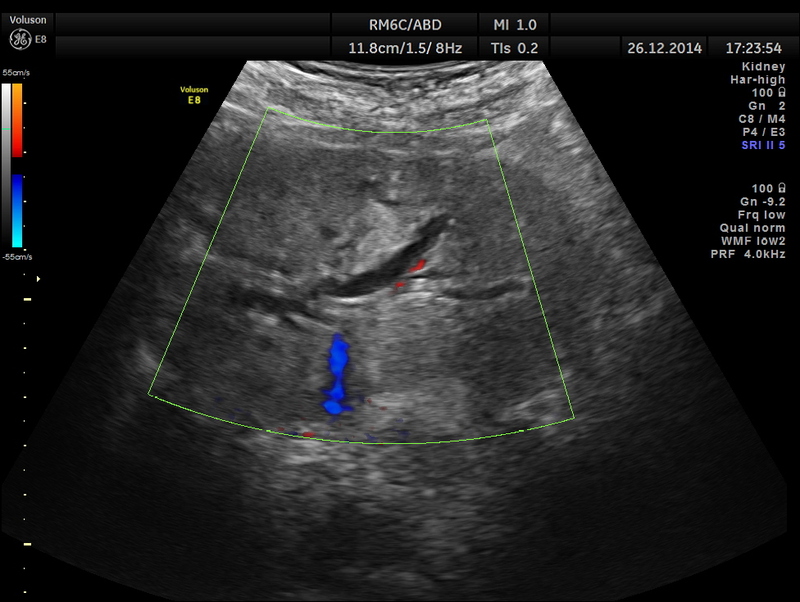 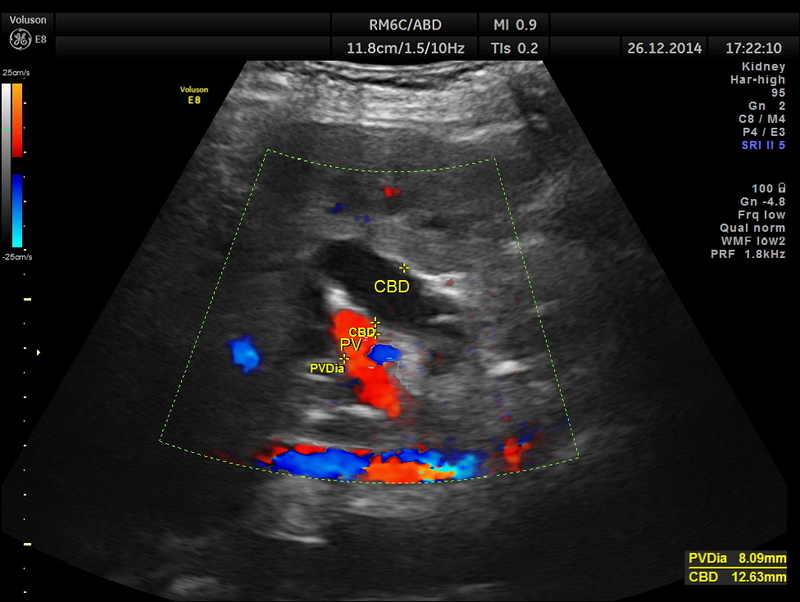 free fluid seen in the abdomen and pelvis , suggestive of possible peritoneal spread of Ca. 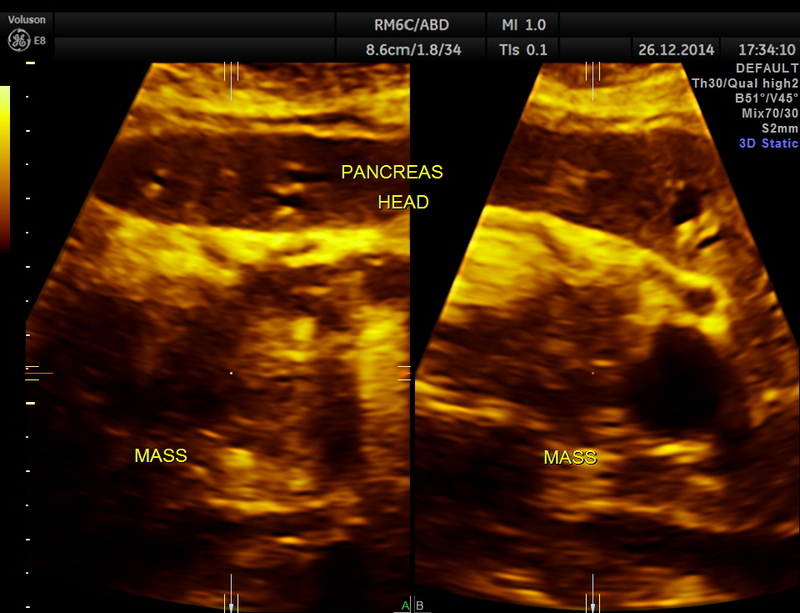 This was a case of Carcinoma of the head of the pancreas , causing biliary obstruction and also pancreatic ductal obstruction , with possible peritoneal deposits.